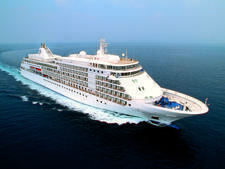 The all-suite Silver Spirit made a splashy entry into the luxury cruise world when Silversea introduced the vessel as its flagship back in 2009. 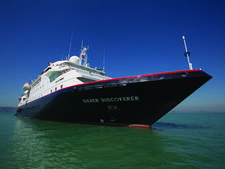 However, when Silversea introduced Silver Muse as its newest flagship in 2017, the Muse won greater praise from critics and passengers for its larger size, better suite layout, greater choice of amenities and chic modern style. Inspired by Muse's success, Silversea gave Silver Spirit a $70-million-plus redo, including adding a new midsection in March 2018, to better match Silver Muse's allure. For the refurbishment, the ship was cut in half, and a 49-foot-long prebuilt midsection was inserted. The ship benefits from its greater length with a larger pool, additional outdoor space and seating by the pool and on the sun deck, and an increase of suites from 270 to 304. 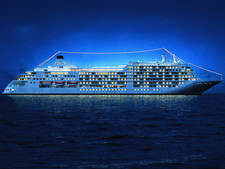 Silver Spirit also elevated its dining experiences to echo Silver Muse. The ship scrapped its one primary restaurant for four new dining choices: Atlantide, Indochine, Spaccanapoli and Silver Note. Dining opportunities now total eight. In every dining venue, new and old, the quality of cuisine -- from ingredients to preparation -- soared dramatically in mid-2018. You'll find many lounges onboard -- from Decks 5 to 11 -- including the newest additions, Dolce Vita and Arts Cafe. Passengers who enjoy reading or borrowing books will treasure Tor's Observation Library, which features an evening-only bar. Art and fashion books fill shelves in the Arts Cafe, a chill all-day hangout with outdoor seating. With its 2018 renovation, Silver Spirit flaunts a modern Italian design with Art Deco accents, vibing more like a high-priced boutique Milano hotel than a staid cruise ship. Cream and beige rule the color scheme, and hints of red and blue pop beautifully against the neutral palate. Textural furnishings emphasize velvety and tweed fabrics and buttery leather. New, brighter lighting (particularly in suites) lends a cheeriness throughout the ship -- even on the rare gloomy day. 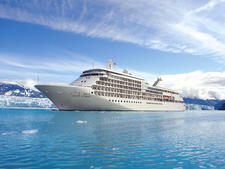 Silver Spirit's best calling card may well be its service. Passengers rarely receive a request denial; the staff -- from suite attendants and reception desk personnel to maitre d's -- are trained to satisfy every passenger whim, whenever possible. A happy crew usually translates to happy passengers, and on this ship, the saying holds true. The camaraderie shared between officers and other staff is evident, and all crew -- from housekeeping and engineers up to the captain -- warmly smile and greet passing passengers. Over the length of a cruise (particularly a longer one), it's easy to feel as if you are family. 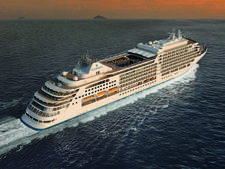 Expect a high-energy vibe similar to Silver Muse -- no matter the age group -- unlike on the more low-key sister ships. The ship's enlargement doesn't diminish any sense of intimacy; it's subtle, and makes Spirit feel more spacious, which passengers enjoy. 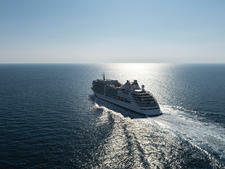 That said, not every second of any luxury cruise is perfect. A butler may overlook something, a dish may be over-salted, a bartender can be slow -- flawless only exists in our imaginations. But close to flawless? Silver Spirit scores an emphatic yes. 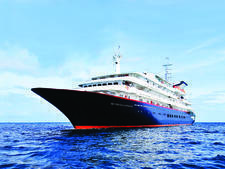 While some families and many younger couples sail Silver Spirit, the majority of passengers are in their 60s and 70s. They're well-educated, highly successful and mostly active. An amiable low-key bunch, they enjoy meeting fellow passengers and obsessing over travel. Silversea passengers are avid cruisers and love chatting about luxury sails -- everything from comparing lines to sharing at-sea stories. 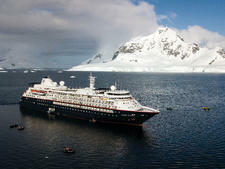 The passenger mix can be quite international; some cruises may include up to 40 percent or more of travelers from Europe, the U.K. and South America. Daytime attire is casual both onboard and ashore. Passengers usually wear jeans or slacks with a collared shirt or T-shirt. Sneakers, sandals and other comfortable flat or low-heeled shoes are typical daytime footwear. In the evening, the dress code varies between casual, informal and formal. 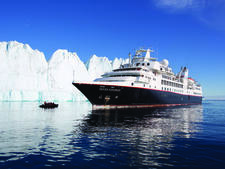 Your cruise documents include a dress code schedule, and a reminder is included in the Silversea Chronicles bulletin that's delivered nightly to suites for the following day. Embarkation and debarkation nights are always casual dress, and although jeans and shorts are no-no's in the dining rooms in the evenings, many passengers wear both these two nights. On other casual nights, women wear sundresses or low-key pants outfits, and men wear slacks and open-neck collared shirts. "Informal" evenings translate to women wearing dresses or silk or linen tops and pants, and men wearing dressier slacks and a jacket (tie optional). If you want to skip the formal dress code, La Terrazza and Seishin both allow informal attire on formal nights. Dining at The Grill (aka Hot Rocks) is always casual. However, if you want to visit the bars and lounges later that evening, you must wear an outfit adhering to the night's dress code. 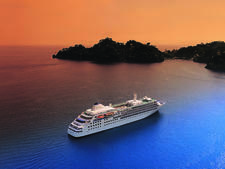 Like all Silversea ships, Silver Spirit is all-inclusive, including complimentary wines and spirits, specialty coffees, bottled water, an in-suite bar stocked with passengers' favorite beverages, 24-hour room service, laundry room use, unlimited Wi-Fi and gratuities. All dining is included except for dinner in La Dame and Seishin. Shore excursions, cigars, high-end wines and liquors on a premium list, and spa and beauty treatments (prices includes gratuities) are the only additional costs you can incur. The onboard currency is the U.S. dollar.